This book relies on two foundations. One, impunity regarding gross human rights violations should not be tolerated and those who bear the greatest responsibility should not go unpunished. Two, in the absence of a concerned domestic judicial system willing and able to investigate and prosecute crimes of international concern, the ICC has the purpose and institutional capacity to adjudicate such crimes that fall within its jurisdiction. On the basis of these premises, the study had the objective of examining the jurisdictional and procedural challenges for the ICC to investigate and prosecute the crimes committed in the Israeli-Palestinian conflict; to analyse, within the spectrum of the Rome Statute, the justiciability of the crimes allegedly committed in the conflict; and to explore the possible significance, impact and contribution of the involvement of the ICC in the Israeli-Palestinian conflict and jurisprudence of the Court. 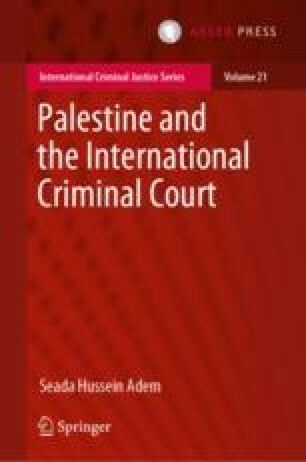 In light of these objectives and on the basis of the discussion, this concluding chapter reiterates the main findings and draws institutional lessons for the ICC to deal with the Palestine situation and situations of a similar nature.